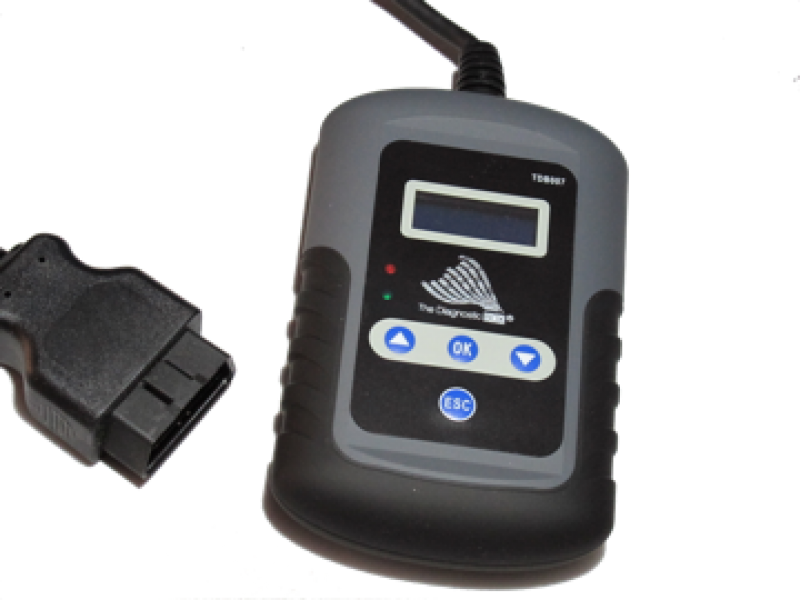 The TDB007 Peugeot and Citroen Pin Code Wizard is a simple and easy device to extract the pin code from a range of vehicles. It can read the pin code from the ECU memory of all Engine Control Units, Sagem, Johnson Controls and Valeo BSI units. Working Key Mode : The device can read the pin code from the vehicle immobiliser BSI memory when a working key is available, within 5 minutes. Lost Key Mode : The device can read the pin code from the vehicle immobiliser BSI memory when there are no working keys, the time taken depends on the vehicle type and system, but typically takes between 15 and 90 minutes. 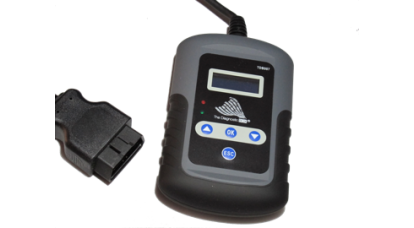 The TDB007 has a small backlit LCD display, small keypad to navigate the menu, a rear magnet to aid testing and secure the device when working under the bonnet/hood, an OBD Connector and cable and an additional cable/connectors for working with vehicles that do not have CAN BUS located within the OBD Diagnostic connector. The device can work on all Peugeot and Citroen based models from 2001 to 2015 as listed in the applications guide on our web site. The applications are updated on a regular basis, so please always refer to the latest version to ensure you have the up to date information before you attempt to read the pin code. The device works on vehicles from 2005/2006 using the OBD port if CAN bus is available at the vehicle OBD connector, however for vehicles prior to this a direct connection can be made to the engine ECU connector CAN wires to enable communication with the BSI immobiliser ECU. The device will only work on Peugeot and Citroen derived models, and cannot read the pin code on Fiat or Toyota derived models such as the 107, C1 and Scudo as examples. The device is protected by international copyright laws and Patent Pending status for its unique design and software.